Having very little time in hand, we as a customer, prefers to do every task on the phone. For an audience, it is morning newspaper, for housewives, it is an easy way to purchase grocery or vegetables even; for some it works well for stock market trading also. The usage of a Smartphone is infinite. But it is important to understand your audience and identifying the medium which makes their daily life easier. Today’s age entrepreneurs have understood the culture of having a presence in the market for 24×7 which is not viable with the present system. But with technology, this can be achieved. A user-friendly app transforms the whole business into a new entity, adds value to customer’s living and helps to grow exponentially. In comparison to mail advertising or any other online communication, apps are downloaded much faster with push notification. In a research, push provider Xtify discovered that 30% to 60% of users open push notifications and about 40 percent download the app instantly after the notification. Building an app costs time and money both. The foremost task for businesses is to compute its objective and benefits to the customer. Having market research in place, these questions can have a logical answer to it. Also, the app in its initial phase can be tested before launching it to the masses. Choosing an app developer and its pricing could be a tricky task. Thus, it is essential to understand the complexity of the venture. Here are some points to make a rational proposal. 1. Understanding Business requisite: How complex would be the app with different kind of functions? How multifaceted algorithms are required to build such an app? The value addition function in the app which makes it distinctive. Introducing payment through the app or having an in-build function of chat with backend team, Both functions have varied cost. The workout on the business requirements would take you to two crucial decisions: App developer team and Cost evaluation. 2. Content Creation & Management: Data and valid information are two notable elements that need a comprehensive team to create and update it in time. For a retail business app, the prices and the product features are required to be filled-in duly without any fault. It enables different stakeholders to add information at different levels. 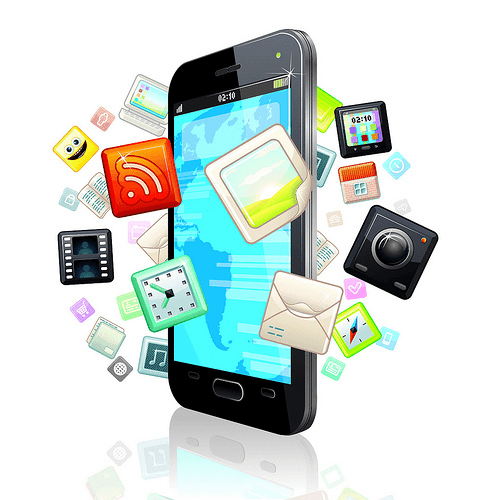 – By App review plug-in – High rated apps have a high number of downloads. Encourage reviews from users to generate more downloads. – Adding contact info like an email address: This would allow the user to contact the team directly. Establishing direct contact with the user is always helpful. More than finding an app developer within budget, the challenge is to find one who would understand your business better. Engage your audience and generate business while making a strong establishment in the market.